o become the preeminent focal point for Masonic history in the State Capital. o take an active role in local historic activities as a means of showing interest in our community. o plan and complete the restoration of 162 Conduit Street consistent with colonial history while maintaining modern building/engineering codes. o open the building as often as practicable, conduct tours and provide historical facts regarding George Mann’s Tavern and Masonry in Annapolis. 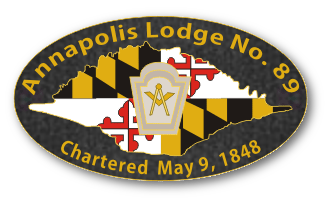 o successfully pursue and achieve the above objectives as a means of continued growth of the lodge and becoming on-scene stewards for part of the community’s heritage.